It is past time to bring up the issue of “mammy”—the cultural icon created in the antebellum South by slave owners looking to soften the image of slavery and give authority to their paternalistic ideal. Mammy flourished during Reconstruction and has persisted through the present. In the late19th century, she was portrayed as a faithful beloved slave—a loving, trusted, and self-sacrificing servant who took care of both black and white children on the plantation—hardly a slave at all. 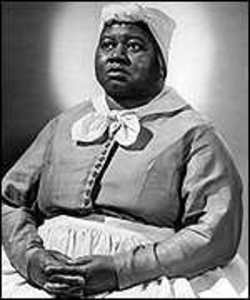 In the 20th century, mammy evolved into a large, soft, dark-skinned woman, often good natured, sometimes firm. She was viewed as safe and un-sexual and was often described as one of the family. Amongst other duties of housekeeping and childcare, she was likely a valued cook. Author Micki McElya in her book Clinging to Mammy observes that the mammy image continues to be popular because it helps whites feel less guilty about slavery—mammy as a neutral figure, a bridge between black and white. In the midst of this stereotype, many whites insist that their caretakers loved them. There were indeed some black caretakers who were warm, loving and empathic caretakers of their white families even though the relationships had to be highly charged, perplexing, confusing, complicated and full of contradictions. 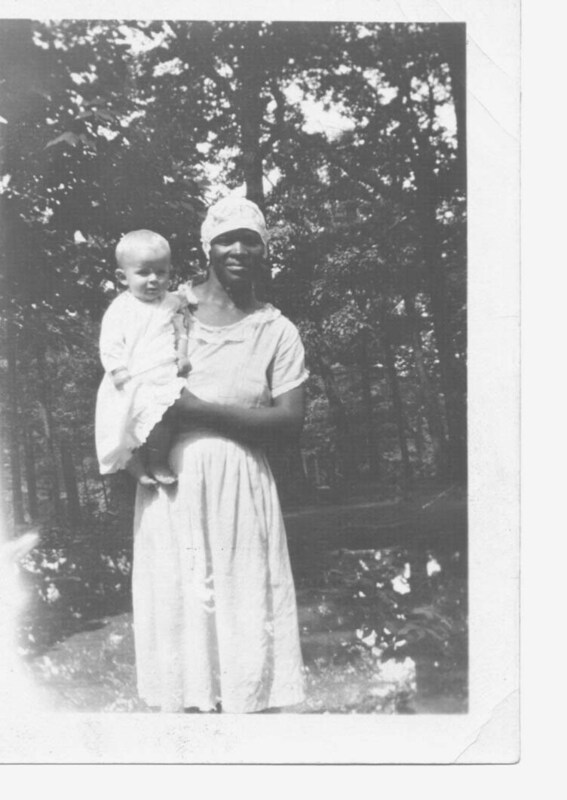 Here, in Just Like Family, the mammy image often appears in the tributes, descriptions, and photographs of African American women who raised white children and specifically, in this post, through my mother’s comments in the video in the next post. In this 2006 interview, she provides a classic description of the 20th century mammy. Although her feelings of esteem seem genuine, they are at the expense of the realities of the women who were paid to nurture her. Most of the portrayals thus far in Just Like Family are from my contemporaries, people who grew up in the 1950s and experienced these relationships through the landscape of segregation and discrimination. Some posts from white people describe their African American caretaker in terms of the mammy stereotype. Many use Just Like Family as a forum to thank the African American woman who raised them and describe how she affected them. 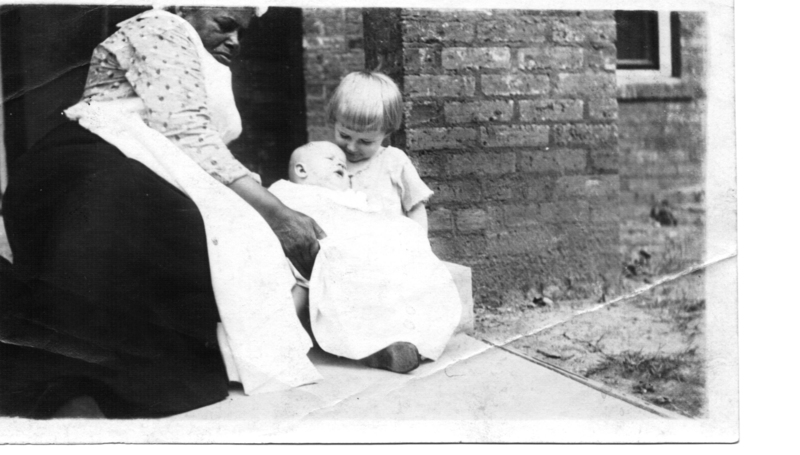 In viewing the video oral histories, looking at the photographs and reading the narratives in the blog, it is often hard to sort out what comes out of mammy mythology and what are the real experiences of the white people who were raised by these women—some of whom do happen to have some of the characteristics of the stereotype. One wonders how the stereotype affected both blacks and whites and how often black women took on these characteristics simply because they appealed to their white employers and, thus, helped assure job security. In Just Like Family we can read and listen to descriptions of African American caretakers by both whites and blacks. We can’t question someone’s feelings about another human being and what they meant to them; but we can look through an historical lens at the image of mammy and how it continues to shape our ideas about African Americans today. Can we tease out the truth and reevaluate our understanding from these stories? So we listen for truth and accept the experience, giving each a place for their story to exist and comments to be made. There will be additional posts about the idea of mammy in future. You are currently reading Bringing Up “Mammy” at JUST LIKE FAMILY.